You searched for ESL programs in California. Below you will find a listing of all ESL programs in California - click on any program to view more information, or refine your search within California by city. Most states have many English as a Second Language programs, with schools and locations offering ESL programs and locations to suit every need. Please use the form below to refine your search even further and find an ESL program in California that is right for you! San Diego, California, USA Central location in San Diego Mission Valley 4560 Alvarado Canyon Rd Suite 2B San Diego, California, USA 92120 Intensive English and TOEFL preparation. Classes of 12-16 students. Student (F1) Visas issued. San Diego, California Eurocentres San Diego, a division of International Educational Services, LLC, offers quality English programs to international students seeking to improve their English for academic, career, and personal reasons in a nurturing environment. Courses offered include General English, Business English, and Exam Preparation for TOEFL, TOEIC, IELTS, FCE, and CAE preparation. At National University, you have the opportunity to immerse yourself in a rich cultural community. We embrace diversity and welcome students from all over the globe. To make the transition to NU as smooth as possible for our international candidates, we provide support throughout the entire process. Come study in sunny San Diego! The USA English Language Center at SDUIS is nationally accredited and committed to excellence in education since 1999! All lessons are online. 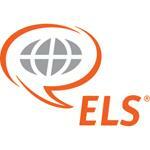 Custom ESL lessons with the best private instructors. All lessons are conducted online via Skype or Facetime. Must purchase a minimum of five lessons at a time. Prices depend on instructor.